iMovie is a known video editing software by Apple that works on iOS devices and Mac system and enables the user to edit their photos as well videos by adding themes, adding music, adding effects, color correction and other changes. 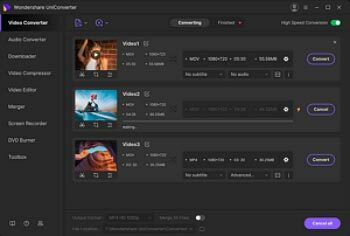 The software supports multiple formats of video and in case if a particular format is not supported it can be converted to a compatible one using a god video converter. Many a times, avi video clips are not imported to iMovie and in such conditions you need to convert it in some other format. The iMovie software support the import of avi video files with MJPEG data. Thus if your avi file is from Hybrid camcorder, Sony or other devices they cannot be accepted by iMovie. In order to read the avi files, iMovie contains all the essential codecs and thus if there is any different codec in the subtitle or the audio of the video then there will be problem in importing the avi file. 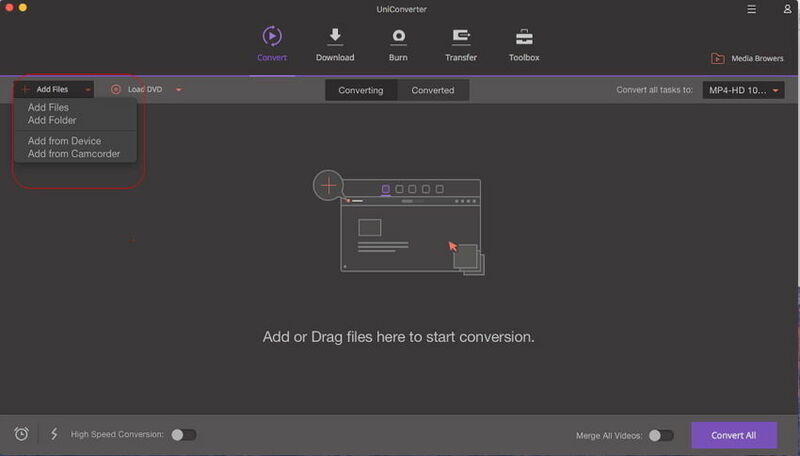 Wondershare UniConverter (originally Wondershare Video Converter Ultimate) is a very good converter that enables you to convert videos to various formats compatible with your devices. The converter works seamlessly with Windows as well as Mac systems and comes packed with array of features. The converter is capable of converting a video to other formats without any loss of quality. While using iMovie if you face any issues with format compatibility then Wondershare UniConverter (originally Wondershare Video Converter Ultimate) will prove to be an apt choice. Below given are some points that explain as to why this converter is good for iMovie videos. First of all you need to download and install the Wondershare software and then load the AVI file to it. You can load the file/files by simply dragging it to the program window or clicking the button. Go to the Target section and click the drop-down button, then a drop-down list will appear with tabs of Recently, Video, Audio, Devie and Editing. To simply select the iMovie-compatible format, go to Editing > iMovie and select the specific resolution in the right. Once the desired format is selected, just click the Convert or Converted All button. 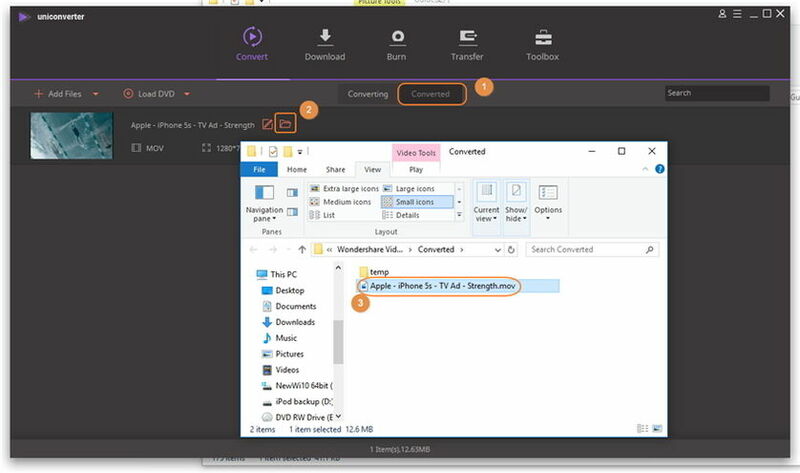 When the conversion process ends, switch to the Converted tab to get the converted video files. 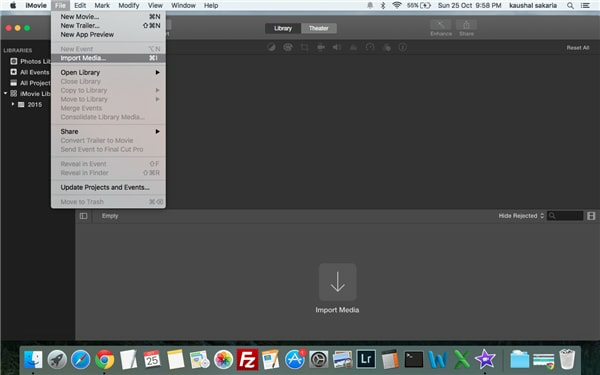 After your AVI video is converted to iMovie compatible format, you now need to import it to the iMovie by navigating to File > Import Movies option.